Home \ Your Team \ Kimberly Harper, M.D. Dr. Kimberly Harper believes in providing state-of-the-art care for her patients and specializes in the prevention, diagnosis and treatment of a variety of kidney conditions. She also believes in the importance of listening to patients and working with them to treat illness and promote health. Dr. Harper’s interest in medicine was cultivated at Stanford University where she was a member of Phi Beta Kappa honor society. In 1997, she was graduated from Washington University School of Medicine in St. Louis, MO. In 1998 and 2000 respectively, she completed her internship and residency specializing in Internal Medicine at Boston Medical Center (Formerly Boston City Hospital). In 2003, Dr. Harper completed her fellowship in Nephrology at University of California, San Diego. 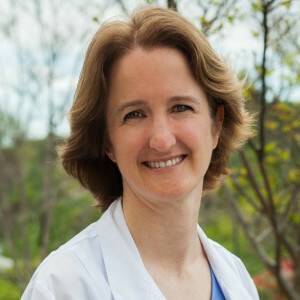 In addition to her clinical practice, Dr. Harper conducts research on kidney disease and hypertension. She is also active in the medical community as a member of the American Society of Nephrology, the National Kidney Foundation and the American Society of Transplantation. Per Dr. Harper, “Home Dialysis Therapies has transformed dialysis care in San Diego by providing quality, state-of-the-art alternatives to the standard in-center hemodialysis. I have had many patients who have benefited from their care. It is a privilege to work with the HDT team, a group of people who truly put patient care first.” If you or your loved one would like to learn more about kidney care options or identify whether alternatives to in-center hemodialysis are a better choice for you, Dr. Harper encourages you to be your own advocate and call to inquire.